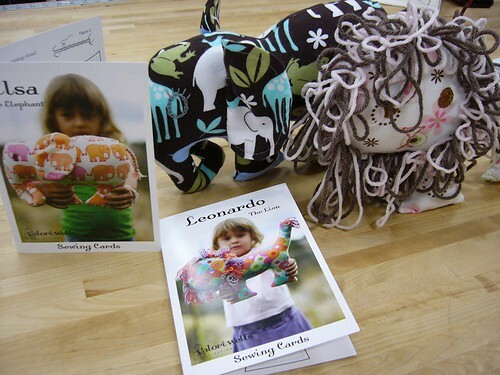 Maria recently whipped up some adorable plush toys for the shop from a couple of our Valori Wells patterns, and she agreed to review the patterns for us! Q: What kind of projects are these? 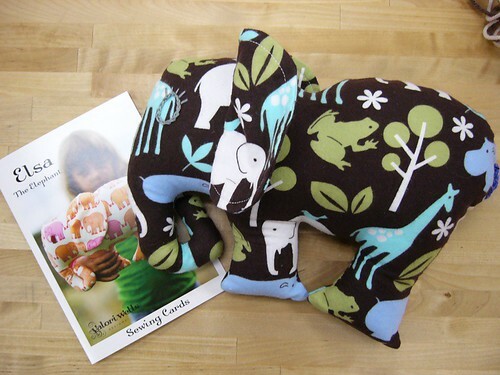 Maria: Cute little soft toys that are easy to make, with only basic sewing skills required for both the hand and machine sewing. Q: How big are these cute little critters? Maria: Both animals end up being about 10-12 inches tall. Q: Were the instructions easy to follow? Maria: Pretty easy. The pattern comes in a handy little card that contains the pattern and instructions all in one. The only thing I did not like was having to enlarge the pattern. I liked that I did not have to cut a ton of pieces and that it was pretty easy to make. Q. 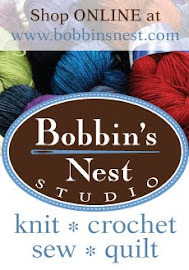 What yarn and fabric did you use? 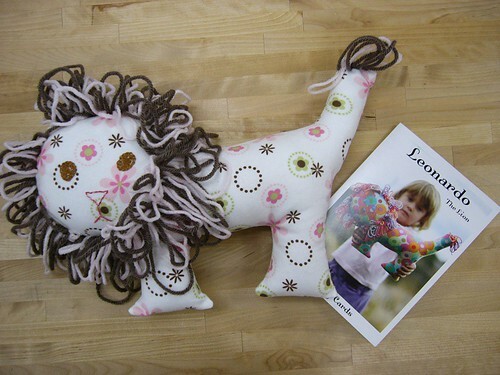 Maria: For the lion's mane and tail I used some leftover yarn from store projects. I used a little leftover handspun yarn for the elephant's tail. For fabrics I used some soft flannel to make them extra cuddly! I like the flannel fabric, it was easy to cut and not slippery when sewing. Also ,I had to do some hand embroidery for the eyes and face and it was smooth sailing for that as well with the flannel. Maria: This is a great little project for a quick gift for a child, suitable for a beginner sewer and requires very little fabric. Uh oh, those are pretty darn cute. Going to have to make one. They like us! And so should you!